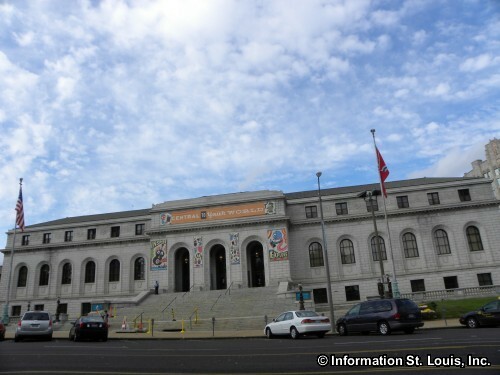 The Central Library is the Headquarters of the St. Louis Public Library system. 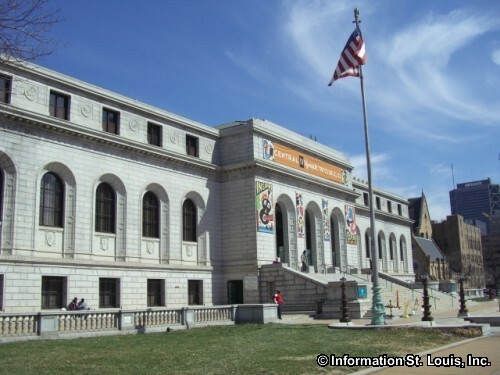 It is a historic landmark and was built in 1901 with a gift from Andrew Carnegie that stipulated that the library be "free to the public." It also stipulated that several branches be built, as well. And six were built around the city! The architect for the design of the central library building was Cass Gilbert. He included stained glass windows and stenciled ceilings. The library originally began in 1865 as a "subscription" library and books could only be checked out by those who were members. It opened with 1500 books. 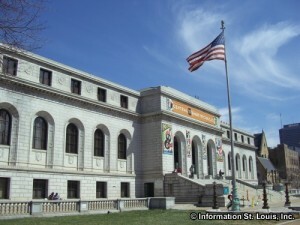 Today the St. Louis Public Library system has over 4.6 million items at its central location and 15 branches.